Inspired by the Beat poetry movement, and in particular Jack Kerouac’s ‘The Ocean’. N.B- any similarities in wording with this or an unnamed pop song are purely coincidental, and all of Doris’ work is entirely her own. Please refer all legal queries to her Agent and Manager Katie-anna Whiting. 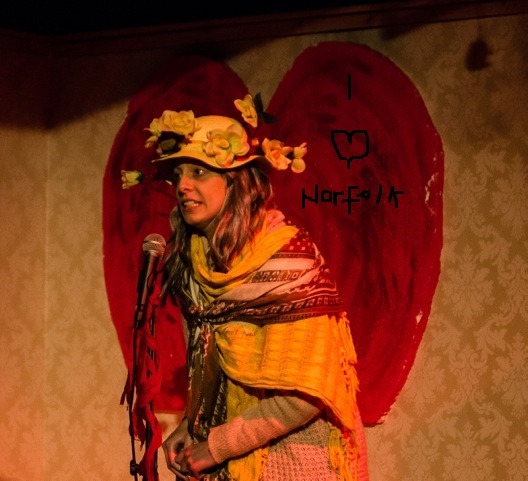 Doris is a poet and performance maker inspired by the Norfolk landscape. And Cromer. Especially Cromer.